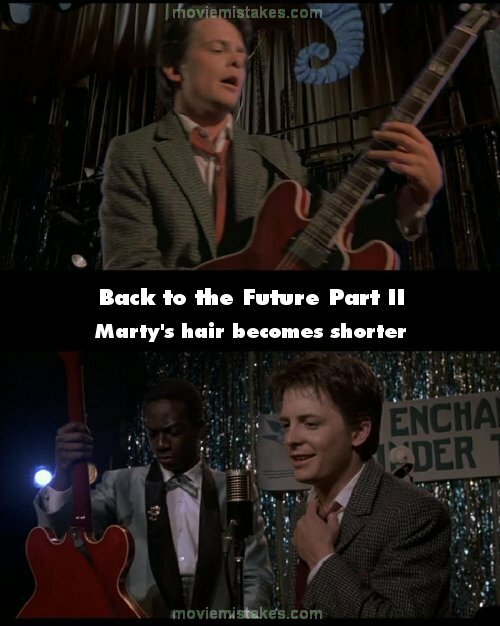 Continuity mistake: Notice Marty's hair in the scene when he's playing "Johnny B. Goode." It's quite larger than when he says, some seconds later, "I guess that you're not ready for it yet." 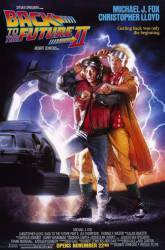 That's because when he says that, it's a recycled shot from the original BTTF, whereas most shots showing he's playing the guitar are newly made for BTTF2. However, Marty's hair is considerably longer in the new shots.